Earnings season unofficially begins Wednesday, April 8, when Alcoa Inc. (NYSE: AA) reports Q1 earnings after the bell. Now, most Wall Street prognosticators are bearish this earnings season. Countless headlines of “earnings recession 2015” have caused retail investors to wonder if they should exit the markets. An earnings recession happens when earnings results decline for two consecutive quarters on a year-over-year basis. Will There Be an Earnings Recession? First-quarter earnings for the S&P 500 are expected to dip 4.6% from Q1 2014, according to research firm FactSet. Those dismal numbers are expected to continue into Q2, with a year-over-year decline of 1.9%. FactSet originally estimated a gain of 4.3% in Q1 and 5.3% in Q2, but revised its predictions at the beginning of April. FactSet points out that 85 companies issued negative earnings per share (EPS) guidance figures for the Q1 2015. That compares to just 16 companies that issued positive EPS guidance for the quarter. This would be the first year-over-year decline for a quarter since Q3 2012. But back in 2012, EPS only fell 1%. 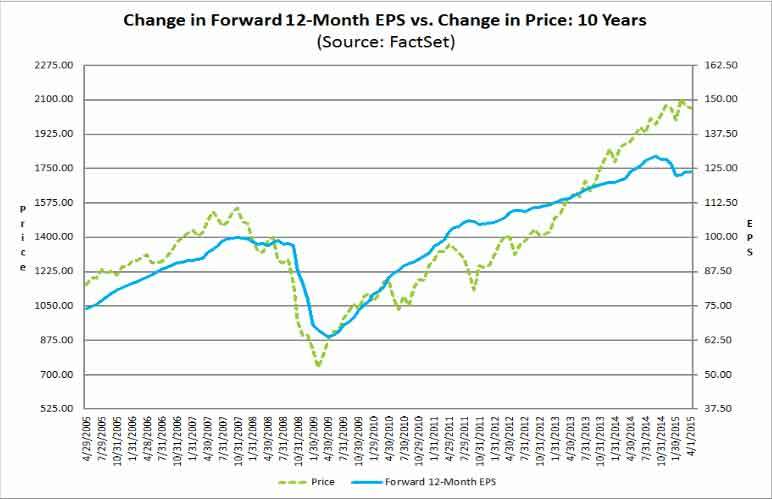 And FactSet isn’t the only company predicting an earnings recession for 2015. Bank of America Merrill Lynch cut their EPS estimates for S&P 500 from $119.50 to $117.50 today. Analysts at the bank cited a 50% drop in oil prices and a 20% strengthening of the dollar since June as the main culprits. Thomson Reuters expects a drop of 2.8% year over year in the first quarter. But so far, the companies reporting dismal earnings have not seen their stocks suffer too much. Schnitzer Steel Industries Inc. (Nasdaq: SCHN) reported an EPS loss of $0.33 today compared to an estimated loss of $0.06. But the shares were actually up 9.3% around 11:00 a.m. today. In the previous three months, SCHN had dipped 20%, suggesting the poor earnings data had already been priced in. Another example is Monsanto Co. (NYSE: MON), which missed earnings by 1.4% on April 1. Since then, the stock has climbed 4.4%. 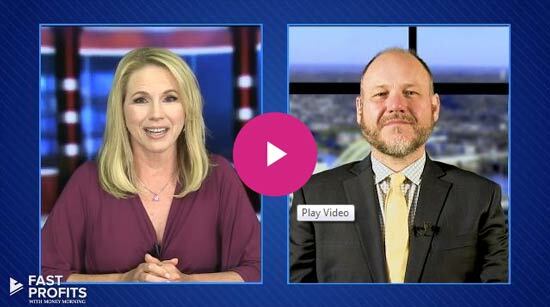 LNL Financial’s Chief Investment Officer Burt White points out that with the earnings bar lowered dramatically, many companies will post earnings surprises. Any earnings surprise is good news for a stock. “We continue to expect earnings to drive stock market gains in 2015, as we stated in our ‘Outlook 2015: In Transit,’ but investors may need to be a bit more forward looking,” White continued.